Do more online with less worry. The high performance scanning engine works in the background to keep your computer safe from viruses, spyware, rootkits, and other threats. When you visit new websites, it's nice to be certain that they won't give you any unwanted surprises. With McAfee Dual Pro, colour-coded icons show up next to every search result, so you'll know what's safe and what's not. Just like babysitters are great with kids, this software is great with touch-friendly devices. You can navigate through the home screen with your fingers, track pad, or mouse and get the same easy to use performance. A vulnerability scanner constantly checks your PC for missing updates, so you always have the latest software for safeguarding your system. A website might be safe, but those pop-up ads are another story. 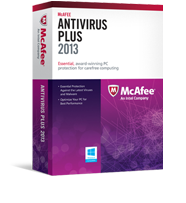 McAfee can automatically block suspicious or malicious ads to keep you protected.